The joint venture between Pininfarina and Volvo was created in 2003. 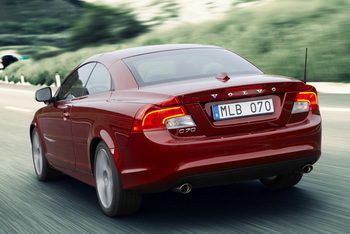 The plant in Uddevalla manufactures the Volvo C70, which received the J D Power Best in Class quality award 2010. The famous Pininfarina empire continues to contract, the latest chunk of its once thriving contract automotive manufacturing business set to disappear off the books is its Swedish joint venture operation with Volvo, Pininfarina Sverige AB. "Volvo Car Corporation and Pininfarina S.p.A. has agreed upon the termination of the joint venture agreement regarding Pininfarina Sverige AB and its operations in Uddevalla, Sweden," read a statement issued by Pininfarina in Turin. "This means that Volvo Car Corporation, in line with the agreements, will take over the complete ownership of Pininfarina Sverige AB, which in its turn owns the plant in Uddevalla. This will take place in May 2013." Extracting itself from the Swedish joint venture is the latest step backwards from Pininfarina which is now beholden to the group creditors banks which are seeking to try to recover funds from the massive losses they incurred from financing the Italian company's huge gamble in the contract manufacturing business that was taken during the middle of the last decade. The rump of the company, now shorn of those failed contract manufacturing operations and plants, is being eyed up by a number of suitors including Austro-Canadian car parts maker Magna-Steyr as well as several Chinese carmakers. "The [Swedish] operations, which at present is the manufacturing of the Volvo C70 convertible, will continue without changes. Volvo Car Corporation will assume the full responsibility for the employees in the Uddevalla plan," added Pininfarina. "The only formal change is that Volvo Car Corporation will be the sole owner of the operations in Uddevalla." 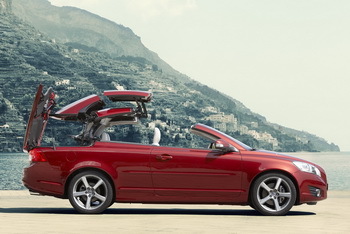 The joint venture between Pininfarina and Volvo was created in 2003. 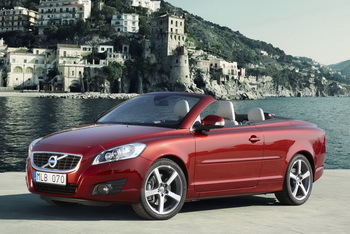 The plant in Uddevalla manufactures the Volvo C70, which received the J D Power Best in Class quality award 2010. “Epochal changes have occurred in the last three years, particularly in the automotive world. Pininfarina’s future rests on design and engineering services, sustainable mobility and brand value enhancement. This is why, after a long-lasting and very successful cooperation with Volvo Car Corporation, we are now approaching our future on different basis, says Silvio Pietro Angori, CEO Pininfarina. "The joint venture between Volvo Car Corporation and Pininfarina has been fruitful, a true win/win situation. When we now put an end to our cooperation it is with a mutual understanding and in a time with new challenges for both companies, says Stefan Jacoby, President & CEO, Volvo Car Corporation.